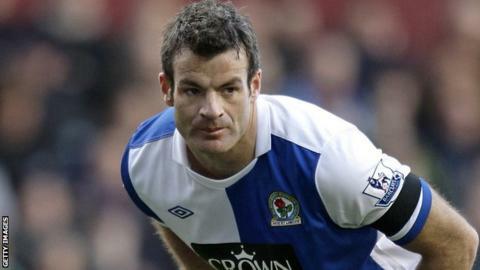 Ryan Nelsen has completed a free transfer to Tottenham after Blackburn cancelled his contract. The New Zealand defender, 34, has played only once since April due to a knee injury - in Rovers' 3-1 loss to Aston Villa in August. Blackburn cancelled their club captain's contract on Tuesday following seven years at the club. And on Thursday Spurs announced they had completed his signing after receiving international clearance. Despite his recent injury problems, Spurs assistant manager Kevin Bond said that Nelsen would be in the Tottenham squad for Monday's Premier League game at Liverpool. "He is fit and eligible to play on Monday," Bond said. "I've just had a cup of tea with him in the canteen. He is looking forward to the challenge." Lyle Yorks, Nelsen's US-based agent, had told the Washington Post on Wednesday: "It's for six months, with a one-year option. It all unfolded quickly." "[Spurs manager] Harry Redknapp has always been a big fan of Ryan. "When the opportunity came up, it really played itself out." Christchurch-born Nelsen launched his career in the United States with DC United before joining Blackburn in January 2005. He has made more than 170 appearances for Rovers and captained New Zealand at the 2010 World Cup in South Africa.